I keep a ‘Did it!’ list to remind me of my accomplishments throughout the year, because I tend to forget them. Despite all of my good intentions, I’m an emotional creature and the events that happen throughout the year that pull on my emotions stick with me way longer than anything else. 2015 was a tough year for us as a family. Our children began the year at a school we can only describe as atrocious. We finally got them into a new school, but had to overcome the transitional challenges. In the process, we discovered our daughter had autism. We’re still fighting our way through the system to get help and support. Last year, my husband also started a new job that required him to put in a tremendous amount of effort, from late nights to little or no vacation. We’re exhausted because all of these things took up, and continue to take up, most of our physical and emotional energy. Many of my own personal goals were pushed to the side and as 2016 dawned, I really, really, really looked forward to a new year. But when I went back over my ‘Did it!’ list, I realized I did a lot this year. 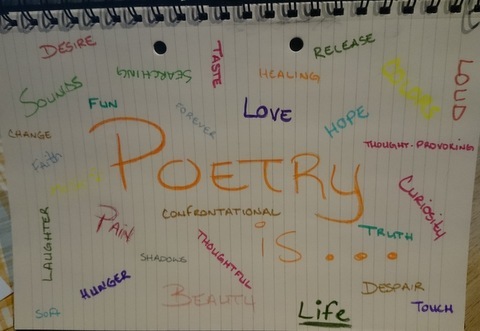 It’s been said that if you want to write fiction well, study poetry. When I think about that advice, two things strike me: (1) I want to write fiction well, (2) I have not studied poetry.